Kalishankar Export is Lemongrass (Cymbopogon) is a tall perennial plant from the Poaceae grass family, which thrives in tropical and subtropical regions, such as in India, Cambodia, Malaysia, Indonesia, Sri Lanka, China, and Guatemala. This plant grows in dense clumps and has bright-green, sharp-edged leaves, similar to grass. Its Botanical Name is Cymbopogon citratus or Cymbopogon flexuosus and this is from Gramineae family. Benefits : Lemongrass oil has analgesic, antimicrobial, antiseptic, carminative, astringent, antipyretic, fungicidal, bactericidal, and antidepressant properties,18 making it one of the most versatile and health-promoting essential oils. It works well for Inflammation, Hair problems, Infections, Fever and Digestive issues. Aromatic Description - Fresh, lemony, earthy. 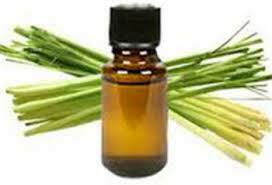 Lemongrass Oil Uses - Acne, athlete's foot, excessive perspiration, flatulence, insect repellent, muscle aches, oily skin, scabies, stress. Effect On Skin - Gives good tone to the skin and may be effective in open pores. reputedly able to clear acne and balance oily conditions. Athlete’s food and other fungal infections could respond favourably. Blends - Basil cedarwood coriander, geranium, jasmine, lavender, neroli, niaouli, palmarosa, rosemary, ti-tree, yarrow.